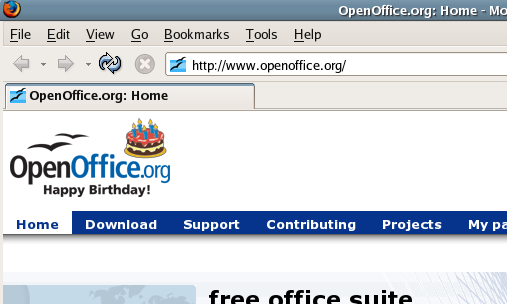 Also the blue colour of "Office.org" is bad: it should be the same as the horizontal bar (R6, G52, B140). In my experience this is caused by colour setting in Photoshop: next time use GIMP, dude! Well, yes, but he broke also the blue colour in the logo and these days some guys wrote an entire manual about logo style. Maybe they wanted the frosting to be strawberry and vanilla. In any case, I would just be happy to see my art in action. Rock on Nicu.